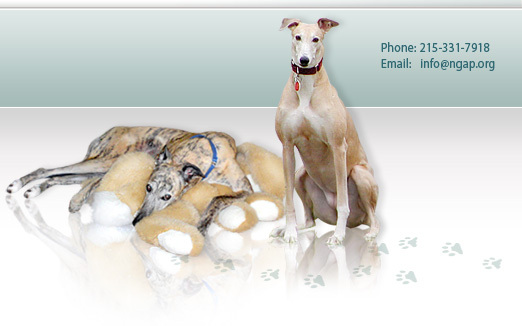 Those of you that read the newsletters from the Ohio State University's Greyhound Health & Wellness Program have been given some terrible misinformation in the view of the National Greyhound Adoption Program. The Greyhound Health & Wellness Program, headed by Dr. C. Guillermo Couto DVM, has been in disagreement for several years with NGAP's philosophy of using thyroid supplementation to treat certain behavioral conditions that so many greyhounds have. I believe Dr. Couto will admit that he has not even tried thyroid supplementation on greyhounds exhibiting symptoms we believe could clinically be helped; nor has he tested greyhounds that are currently on thyroid supplementation; nor has he spoken to the countless numbers of people whose greyhounds have greatly benefitted from being on thyroid supplementation. It is my belief that he chooses to rely on what he learned while at University, and they just didn't teach that. At National Greyhound Adoption Program, we do not conduct studies that we can publish, but we do deal with solving problems on an everyday basis. Greyhound spooks, shy greyhounds, and low esteem greyhounds have poor quality of life and over a 15 year period - that's right, 15 years! - we have learned that many of these greyhounds have been able to come out of their shell, join family members, interact better with other dogs, and enjoy life better, solely due to the positive effects of thyroid supplementation. This response certainly is not taken lightly, but we have not seen catastrophic side effects from the use of thyroid supplementation as an off-label fix for esteem conditions in greyhounds. I have never said, nor will I say, that those greyhounds being treated with Soloxine are hypothyroid. I will say that I have seen many greyhounds progress so far, including two greyhounds and two italian greyhounds in my own home. I would not have changed that therapy for even a moment. 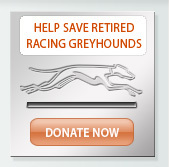 The statement from Ohio State University does greyhounds everywhere a great injustice. People around the world have learned to respect Ohio State University and Dr. Couto for all of their good works, but sometimes even the best can be off target. This is one of those cases. As a business person who is not a veterinarian, but has managed a large greyhound program, adopting over 7000 greyhounds over a span of twenty years, I believe I have learned so much, and for the greyhound community, especially veterinarians, to disregard that knowledge is truly sad. OSU's Greyhound Health and Wellness Program focuses on cancer-related issues, namely osetosarcoma, for which there is not yet a cure or treatment and to which most of us will lose our greyhounds, when many greyhounds will suffer with bad mouths which affects the way they LIVE. Ohio State University spends no time focusing on our greyhounds #1 impactible health issue. 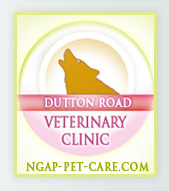 In the not so recent past, another veterinarian disagreed with some of the 'ultrasonic protocol' at NGAP. Although I cannot quote him exactly, I will paraphrase, "Well I have never seen it done, but I can't believe it would do any good." If you haven't seen it, how would you know, and how could you comment? I hope that all of those people that have their greyhounds on thyroid supplement for good reason will disregard Ohio State's suggestions. Your greyhound can only get better.